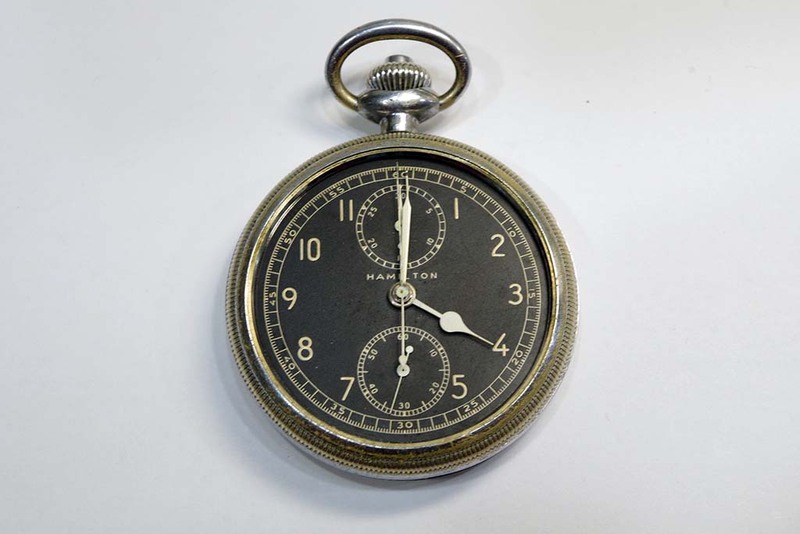 These Hamilton Model 23 Pocket Watches filled an important role in World War II as a Navigator’s Watch. 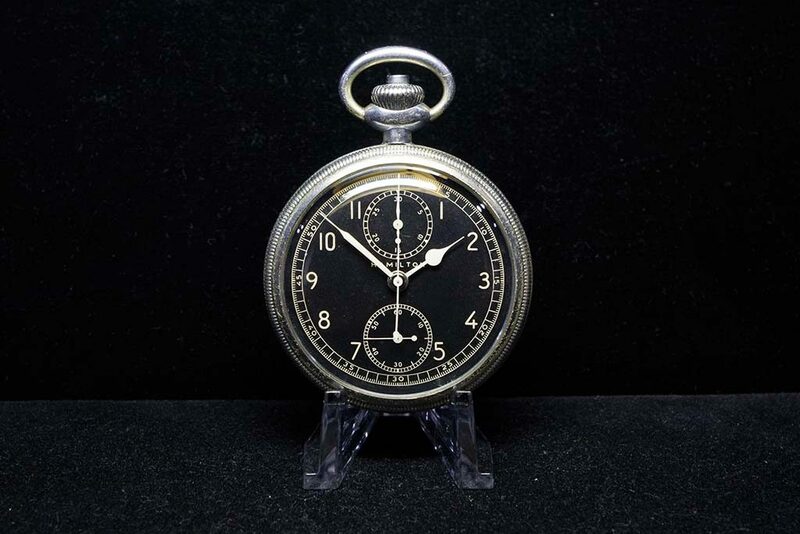 The chronograph function allowed navigators to check ground speed in flight so they could determine the correct speed for bomb drops, paratrooper drops, and fuel consumption. 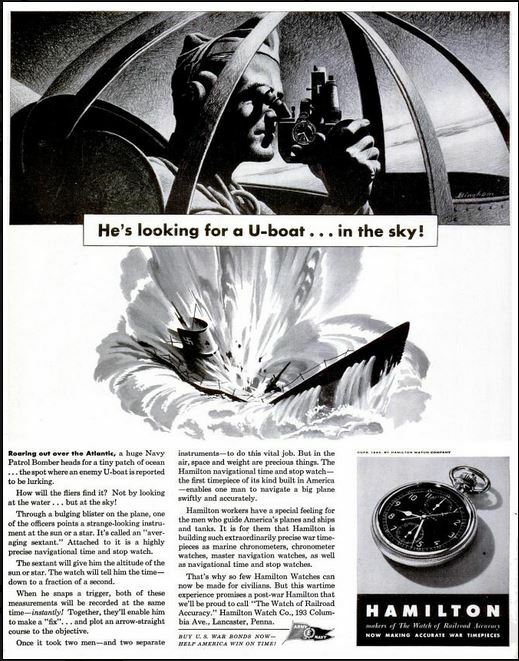 They were issued in conjunction with the Mark III Model 5 Octant Navigator. This device was handy when flying over water and when landmarks were not available. The device used an artificial horizon, like a carpenter’s level. A bubble the navigator would look through and use to align horizontally and measure altitude from a celestial body. This 1942 Hamilton Model 23 watch was not running. The balance staff was broken. 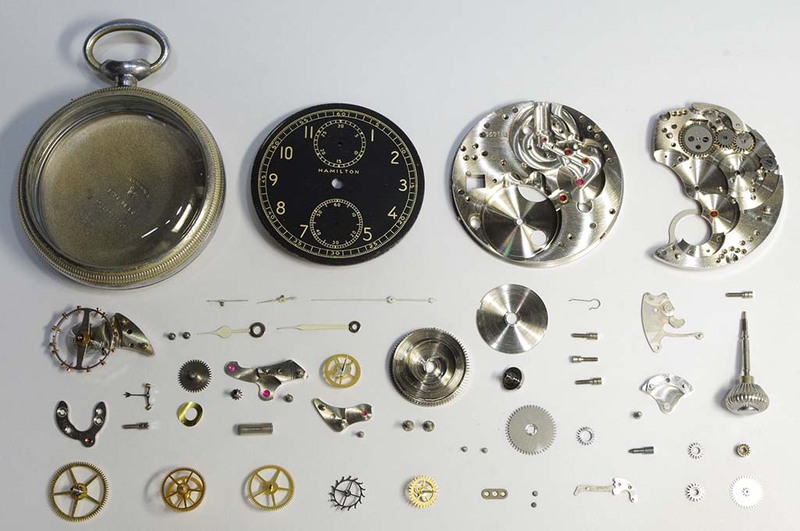 The watch was disassembled and cleaned. The balance staff was replaced. 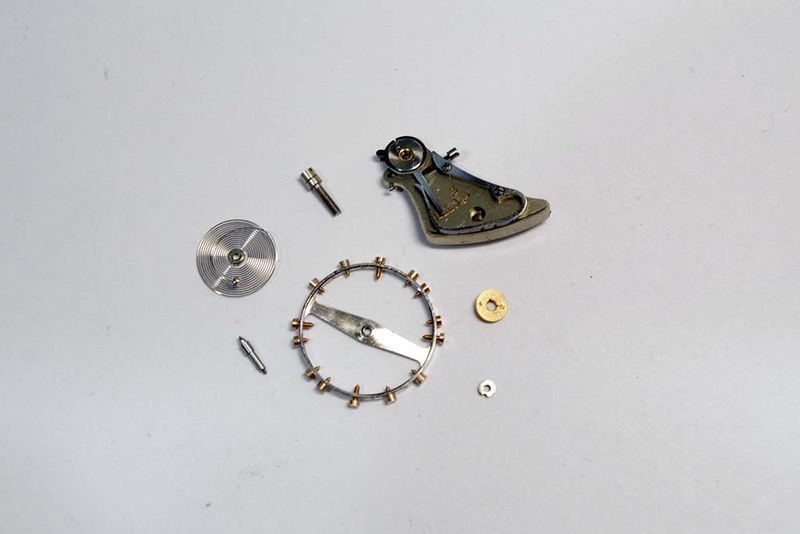 The watch was reassembled and lubricated. 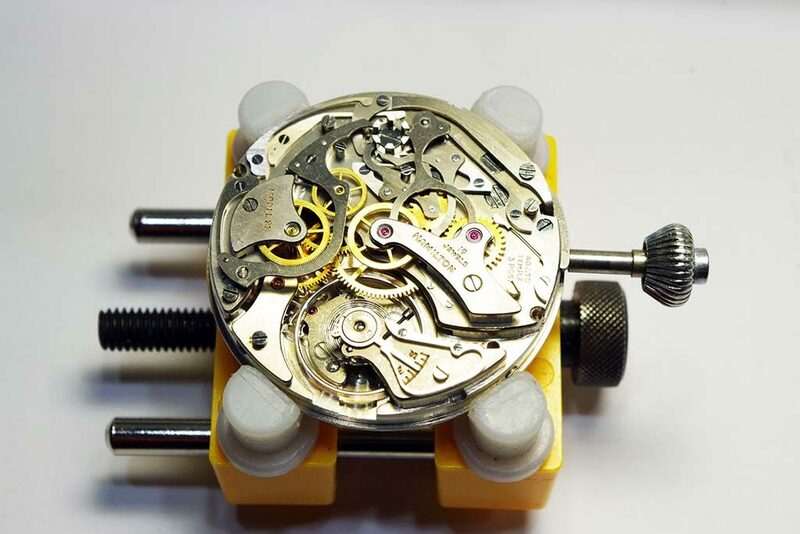 Regulated balance and adjusted timing. Adjusted hands. Replaced crystal with new glass. Placed on extended testing. Repair Complete.